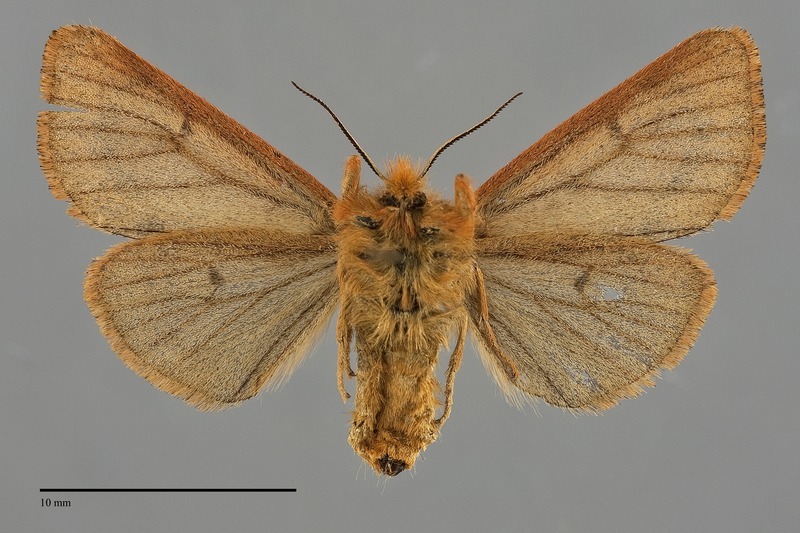 Spilosoma pteridis is a small dark species of Spilosoma (FW length 11 - 13 mm). The forewing is dark reddish gray. The discal spot and lines are faint darker gray, barely evident in most specimens, with the lines visible at the costa and posterior margin except for the subterminal line which is darkest opposite the cell. The hindwing is dark smoky gray with a similar or reddish fringe and dark discal spot. The head, thorax, and dorsal antennae are lighter red brown, while the abdomen is gray with red brown hairs. 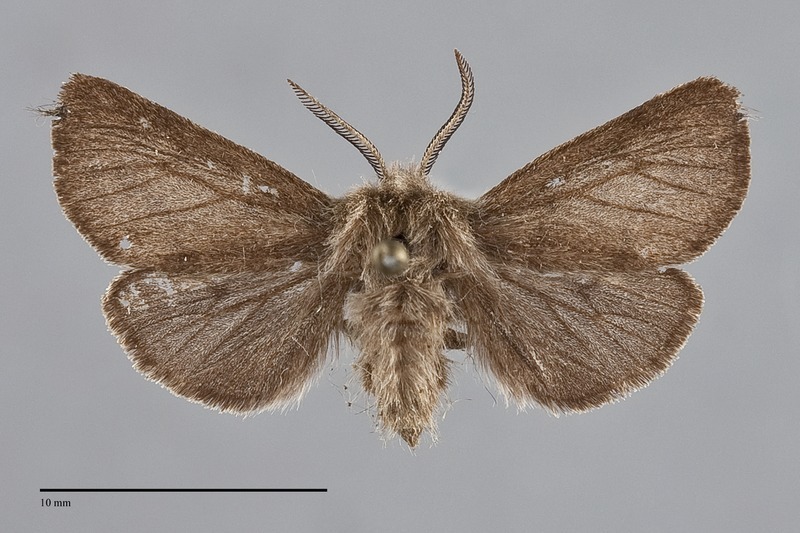 The antennae are bipectinate in males, simple in females. 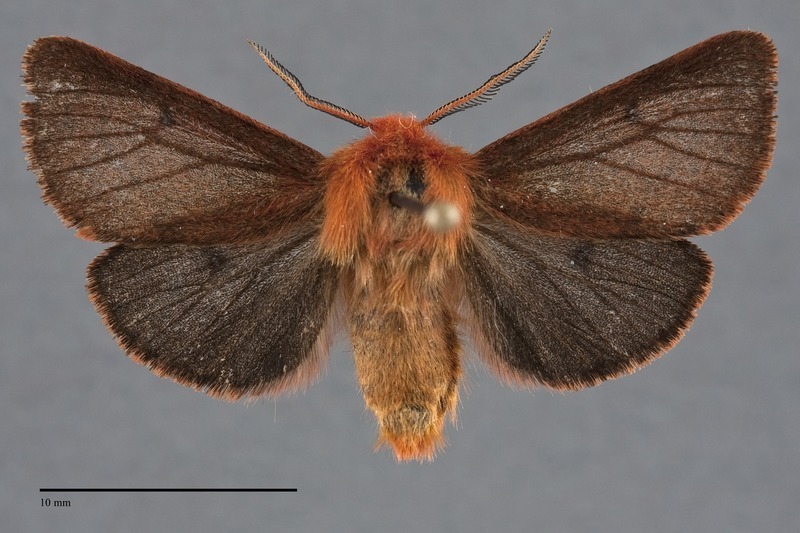 This species is similar to red-orange and dark forms of Spilosoma vagans. 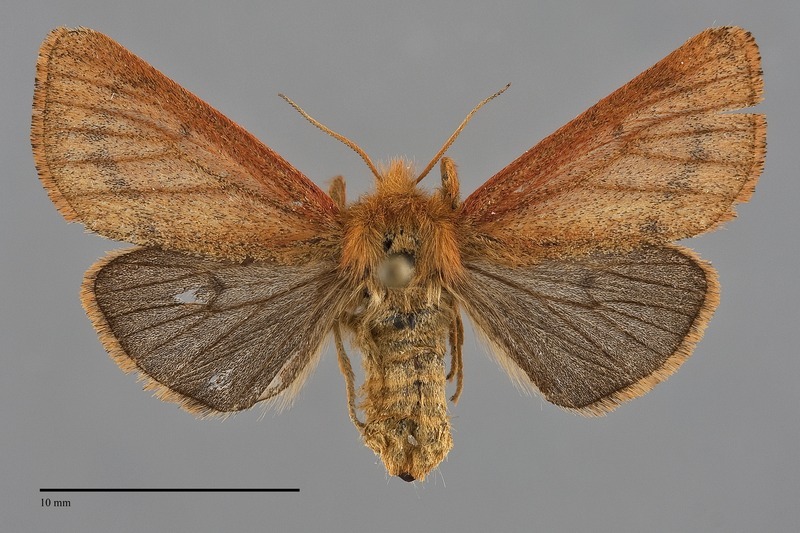 Spilosoma pteridis is smaller than S. vagans and is more red than orange, especially the thorax and antennae. 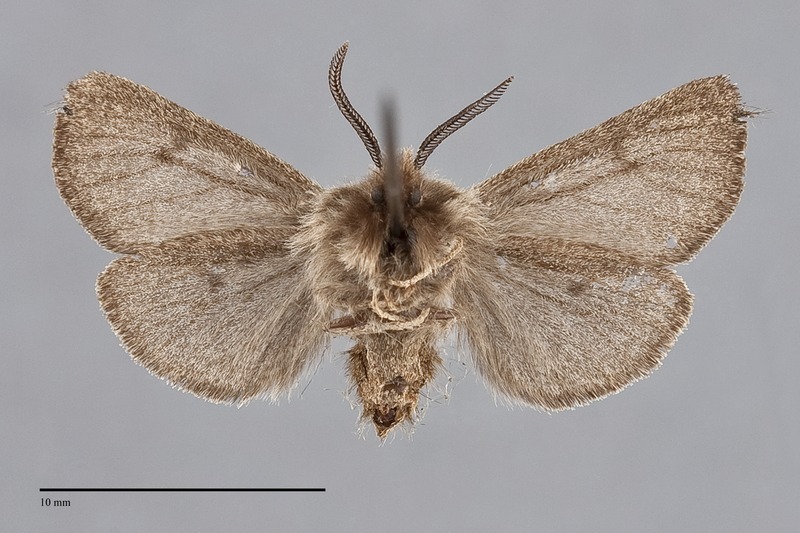 These species have a limited range of overlap in south-central British Columbia and central western Oregon. Phragmatobia fuliginosa is also small dark and reddish. 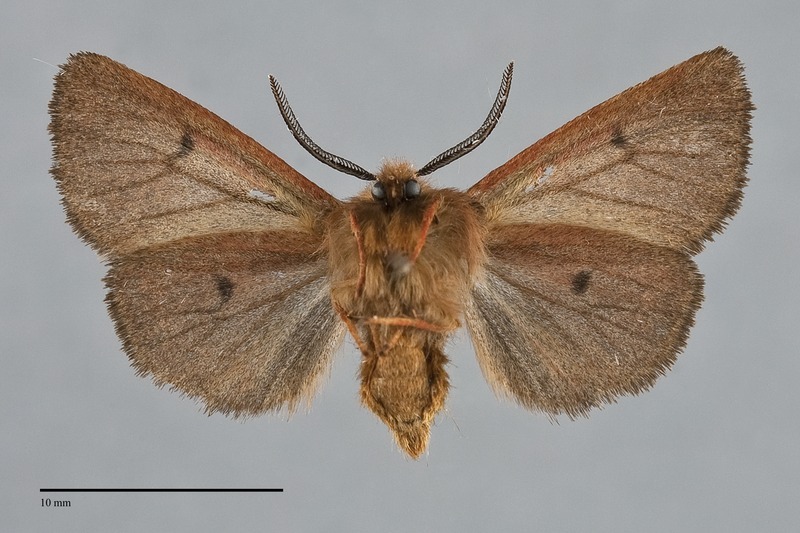 It is easily told from S. pteridis by the its hindwing base. 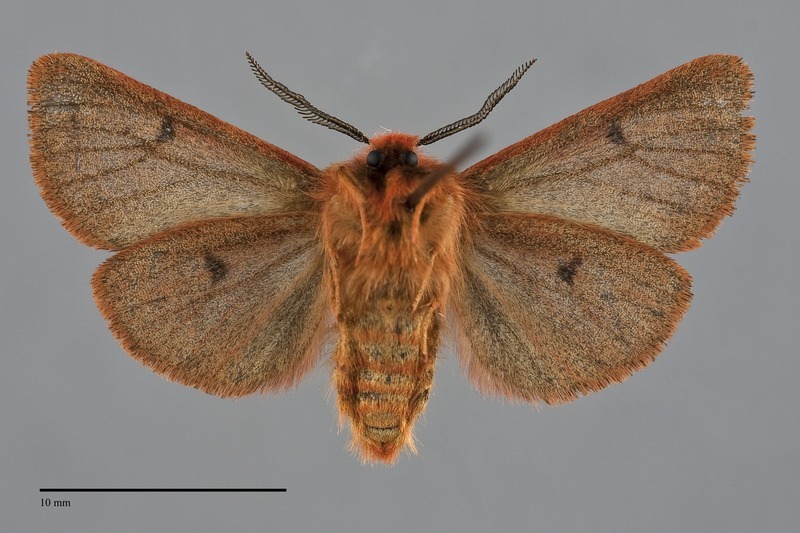 Specimens of Spilosoma from northern British Columbia are smaller, duller, and darker than most S. pteridis from elsewhere in the Pacific Northwest. Based on limited material, females of the northern population are more similar to the males than in the populations from farther south. This species is limited to wet forests west of the Cascades including coastal rainforests, mixed hardwood-conifer forests at low elevations, and higher elevation conifer forests in the Cascades. It also occurs on glacial outwash prairies south of Puget Sound, and drier forests on the east slope of the Cascades. It is usually rather uncommon to rare. This species is most common in western Oregon and Washington. It also occurs east of the Cascade crest in Washsington, British Columbia south of the 51st parallel, and northern Idaho. Spilosoma pteridis has a limited distribution almost entirely confined to the Pacific Northwest. A single California record from north of San Francisco is shown in Ferguson et al. (2000). No information is presently available regarding larval foodplants, but it probably uses various herbaceous plants. 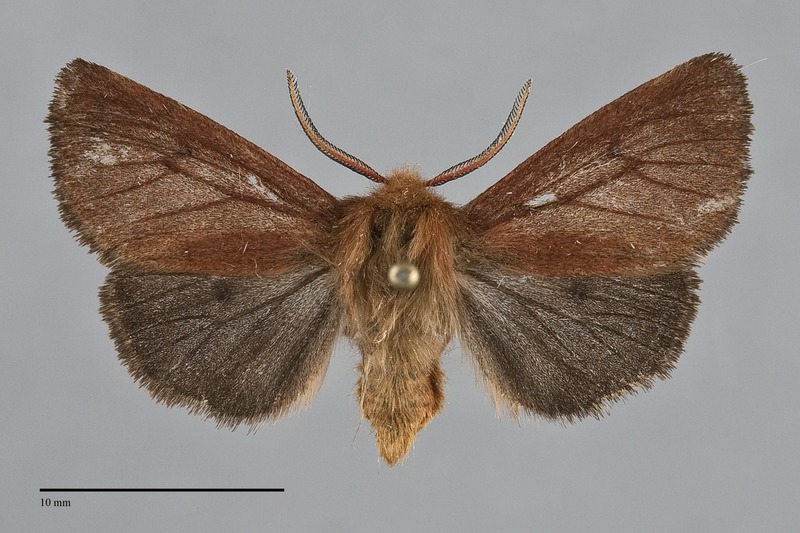 This species has been collected from late spring to early August. Most records are from late May through June. The males are nocturnal and come readily to light, while females are rarely collected.